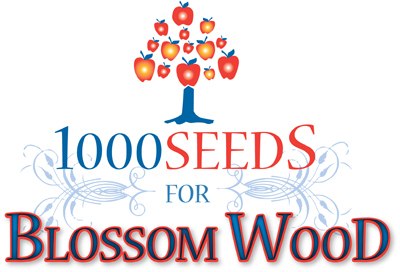 At Blossom Wood Day School the seeds of development are being planted everyday. Additional funds this year have been raised through the generosity of donors, parents and grants. With this year's funding, programs and equipment included Judo Classes, puppets for outreach, new IT infrastructure, new computers, recreational equipment, Art classes, summer enrichment travel and swimming lessons. Your generosity provided awesome opportunities for the students of Blossom Wood and community children served during the year. We are grateful for your gifts and THANK YOU! Please join our 2016-2017 campaign and help make our new school year a rewarding experience. Give a gift to help us grow! Have an apple or leaf placed on our donor tree located in the school foyer. placed on the giving tree.